Everyone knows that they are supposed to floss daily to help improve their oral health, yet many people still tend to skip this daily recommendation, telling themselves that brushing is enough. 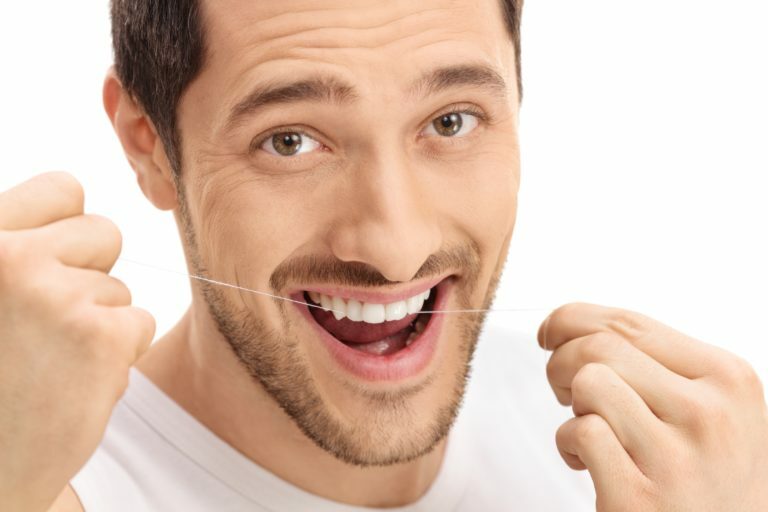 Often times, flossing proves to be a more difficult and timely endeavor compared to brushing, which makes it easy to simply choose brushing instead of flossing. However, this is not recommended and there are some things you can do to make flossing easier. Through adjusting your technique and making flossing easier, you will be able to flossing more quickly and effectively, so that daily flossing becomes an easy part of your dental routine. Here are three secrets to making flossing easier. Did you know that there is more than one single variation of floss? Yes, there are different types of floss and knowing which type works best for you is a key factor in making your flossing routine much easier. For starters, there are two main types of floss. The first kind is nylon floss, which is a multifilament floss that can become stringy or can even break apart. The second kind is polytetrafluorethylene (PTFE) floss, which is a single filament floss that can fit easily into tight spaces. Within the nylon category, you also have options for waxed and non-waxed. Waxed floss has a wax coating that goes over the nylon strands, enabling it to squeeze into tight spaces while be more resistant to breakage. Non-waxed floss is composed of approximately thirty-five small nylon strands twisted together and is more prone to breakage. However, it can fit into spaces even tighter than waxed floss and will squeak against teeth, providing a good indicator that you have adequately removed plaque. Flossing properly is not simply pulling a string between your teeth and being done. Instead, you need to thoroughly clean the surface of your tooth and make sure you are applying this method to every tooth. With that being said, you want to make sure you have enough floss to easily reach your teeth, while also making sure you can use a fresh piece of floss for each tooth. The best way to do this is to pull off about eighteen inches of floss. You will then want to wrap the ends around your middle finger and use your thumbs and index fingers to guide the floss between your teeth. Generally speaking, you should leave approximately three inches between your fingers to floss with. As you move through your mouth, you will need to wind up the used floss and unwind more clean floss. This is to ensure that you are actually cleaning your teeth rather than simply spreading unwanted bacteria around your mouth. Yes, practice makes perfect! The more you floss your teeth, the better your technique will become and before you know it, you will be flossing quickly and effectively. In addition, your gums will adapt to the flossing and will stop bleeding after about a week of continuous flossing. The best way to make flossing easier is to simply make it a dental habit. After about two weeks of daily flossing, it will become incorporated in your dental routine and you will barely have to think about doing it.